Tramadol (Ultram) works well for relieving moderate chronic back pain. Doctor prescribed Tramadol 100 mg which fights moderate pain and it doesn�t make you "high" as the opiates do. I found out that this med is not harmful for your liver and kidneys than even Ibuprofen. I will continue taking it to see if it works for my pain for a long time. Our New Jersey attorneys combine dedication, innovative strategies, commitment and passion to deliver effective results for our clients one client at a time! Our lawyers are readily accessible to counsel businesses and individuals from the most routine matters to the most complex. Our law firm concentrates in attorney ethics defense, bankruptcy, breach of contract, cannabis business law, complex civil litigation involving business disputes, Chancery Court litigation involving partnership disputes and shareholder disputes, Chancery Court litigation involving the prosecution and defense of applications for emergent or injunctive relief, asset recovery/equipment repo, construction litigation, criminal law, drunk driving/DWI, debt collection, expungement, foreclosure, fraudulent transfer litigation, Internet law, landlord-tenant, probate litigation involving contested wills & trusts, restrictive covenant litigation, traffic tickets & motor vehicle violations, and real estate litigation. It’s simple – our clients come first. Every client is treated with courtesy and is guaranteed effective communication – whether it be returning phone calls or responding to emails. Our expertise and integrity have earned us a reputation as one of New Jersey’s go to law firms in our fields of expertise. Our consistent track record of uncompromising ethics instills confidence and trust. Nothing is more important to our law firm than ensuring that each client receives justice. Our New Jersey attorneys will fight to protect your rights. While our American system of jurisprudence is less than perfect, our law firm puts it all on the line to WIN! Although results cannot be guaranteed, our efforts will leave no stone unturned. We explore the strengths and weaknesses of every client’s case at the beginning of the attorney-client relationship. Our lawyers work closely with our clients to identify goals and expectations, and implement strategies to achieve the desired result. Read about successful litigation strategies offering a sampling of cases where we achieved our clients’ objectives. Contact our law firm today to discuss your legal matter. For emergent matters, please call us at (201) 498-0400. * No Aspect Of This Advertisement Has Been Approved By The Supreme Court of New Jersey. 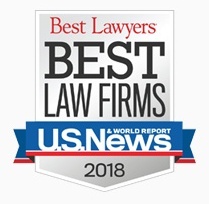 The lawyers at LoFaro & Reiser nominated to ”Super Lawyers” (Thomson Reuters), “Best Lawyers in America” (Best Lawyers, LLC and its parent company, Woodward/White, Inc.), “201 Magazine” (North Jersey Media Group), “Top 100 Trial Lawyers” (The National Trial Lawyers), and “Top 100 Lawyers ASLA” (the American Society of Legal advocates) were included in the lists with those names, and do not suggest that the lawyer has that attribute. Likewise, the firm’s inclusion in “US News Best Law Firms 2018 – Metro Region New Jersey” is a list, and does not suggest that the law firm has this attribute. For the comparison standards employed by the various lawyer rating companies, please visit superlawyers.com, bestlawyers.com, bestlawfirms.usnews.com, societyoflegaladvocates.org, and avvo.com.